GEMS Education and Hassana Investment Company – a Saudi asset management firm that is part of the General Organization for Social Insurance – have penned an $800 million deal to build a network of new schools across the kingdom. The partnership was announced on the sidelines of the Future Investment Initiative (FII) conference in Riyadh. Officials said the educational network will be able to accommodate up to 130,000 students and create jobs for 16,000 people, around 40 per cent of whom are expected to be Saudi nationals. “This partnership is driven by our view that the education market in Saudi Arabia is one of the most attractive growth markets over the long term,” Hassana chief executive Saad Al-Fadhli said. “The Vision’s focus on opening up public service sectors such as education highlights a commitment to developing human capital and allowing the private sector to enable long-term positive change for Saudi citizens,” he said. 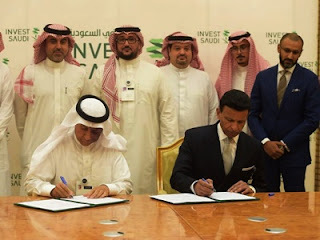 At the FII conference, the Saudi Arabian General Investment Authority (SAGIA) also announced a series of MoUs worth $2.4 billion, including a $1.6 billion deal between NMC Health and Hassana to develop medical facilities in Saudi Arabia. The joint venture will become one of the largest private healthcare operators in Saudi Arabia and is expected to employ up to 10,000 employees over the next five years.